Essential oils are concentrated essences derived from plants. Using a natural stream distillation process they are extracted from a variety of different plant parts depending on the oil, including the plant root, seed, leaf, bark, fruit or flower. 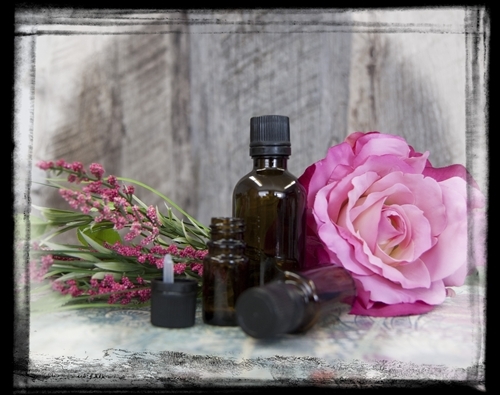 Essential oils provide very effective solutions to many different physical and emotional ailments, and are widely used for these therapeutic benefits as well as for their scent. The Essential Oils we are now selling are therepeutic grade oils that we have been purchasing and using in our products for years. After repeated customer requests we are now offering these amazing oils to our customers so that they can scent the products, themselves as well as use them in diffusers throught their homes or cars. Aniseed has a spicy-sweet licorice type scent which helps to stimulate a tired mind and is helpful soothing sore and tired muscles. It is a great scent in body care products. Bay has a warm rich aroma with a bit of spice and a touch of evergreen. A great scent for mens products, we have used it for years in our most popular mens scent. Bergamot is a sweet, citrus oil with a warm, spicy, floral undertone. A great oil for skin disorders such as psoriasis, acne and eczema, it also works great for scalp disorders such as dandruff. Cedarwood Oil Texas has a strong woodsy, kind of smoky scent with sweet balsamic undernotes. Lavender Essential Oil has a beautiful fresh floral scent. The most widely used of all the essential oils, it has great skin care benefits. Peppermint Essential Oil is one of the most widely used essential oil due to its energizing, refreshing mint scent. Rosemary Essential Oil from Morocco has a strong, fresh, woody, herbal minty scent. Grapefruit Essential Oil has a fresh citrus aroma that is both energizing and uplifting.